Washington (CNN) - After weaknesses in its ground game were badly exposed in 2012, the Republican National Committee is taking a page straight out of the Democratic playbook and launching an ambitious “50 state strategy” that will steer party resources and staffers to every corner of the country as it works to repair its voter contact effort before the next presidential election. The party’s short-term vision with the project is to help the GOP win key races this November and in next year’s midterm elections. But that’s only part of a larger and more important goal for Republicans: rebuilding a broken and outdated get-out-the-vote operation that seemed dominant during the George W. Bush era, but was overtaken in 2012 by a Democratic coalition that had spent years polishing its tactics in the fields of voter contact, persuasion, data collection and statistical modeling. Led by the re-election campaign of President Barack Obama and aided by independent liberal groups and labor outfits, Republican organizers were badly out-hustled by their Democratic counterparts in the race to get their supporters to the polls, in early voting and on Election Day. The RNC’s 50-state project begins with putting new boots on the ground in the two states with gubernatorial elections this fall, Virginia and New Jersey, said party spokeswoman Kirsten Kukowski. 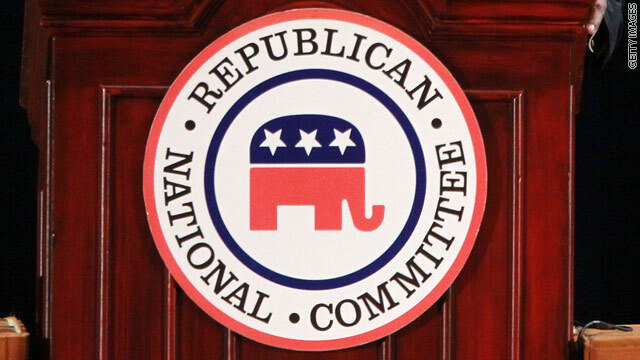 In both states, the RNC will be testing voter contact efforts with controlled experiments and fine-tuning their engagement efforts with African-American, Asian-American and Hispanic communities who are firmly entrenched in the Democratic camp. In May, the RNC hired new staffers and opened offices in Virginia, which has a competitive governor’s race, and in New Jersey, the site of a less competitive gubernatorial contest and a special U.S. Senate election. The committee has also placed “state directors,” who will work alongside existing state party organizations and candidates to coordinate with the national party, in 10 other states with competitive Senate, House and gubernatorial races in 2014. Republican state directors have already been deployed to Florida, Michigan, Wisconsin, Montana, West Virginia, Louisiana, Pennsylvania and Ohio. There are currently 125 RNC operatives in the field as of this week, a staff footprint larger than the one at party headquarters on Capitol Hill. By the end of the year, Kukowski said, the RNC will have “hundreds of staffers” and “nearly 100” offices around the country, all trained in Washington. Not every state will have a state director, she admitted, but every state in the country, including Democratic strongholds, will have at least one paid staffer and possibly more. The party has also dispatched political staffers – they won’t say how many - to work deep-red Texas and deep-blue California, both mega-states with substantial and growing Hispanic populations that will figure prominently in future election cycles. Democratic strategists from the Obama campaign, for instance, have been laboring in Texas for months under the banner of “Battleground Texas,” a long-term initiative aimed at flipping the state and its 38 electoral votes from red to blue by 2016 or 2020. The RNC’s 50 state effort, of course, harkens back to Howard Dean’s chairmanship of the Democratic National Committee, which began in 2005. Dean, hoping to expand the Democratic map from just a handful of battleground states, spent precious party funds on placing political staffers in red states to court Republican-leaning voters. Dean was ridiculed at the time by party insiders for wasting precious money on his 50 state strategy. “What he has spent it on, apparently, is just hiring a bunch of staff people to wander around Utah and Mississippi and pick their nose,” longtime Democratic strategist and CNN contributor Paul Begala sniffed in 2006. But Barack Obama’s presidential campaign in 2008 eventually adopted the expand-the-map model, building a national volunteer infrastructure that proved vital during Obama’s historic primary clash with Hillary Clinton, when Obama volunteers out-organized Clinton forces in key caucus states that had long been abandoned by Democrats. Their red state activities also came in handy that November, when Obama won Republican-leaning North Carolina, Indiana and Virginia, the first time a Democrat had won those states on the presidential level in decades. Republicans are now trying to develop a similar bottom-up approach to persuading and motivating voters. Instead of taking rigid marching orders from Washington, RNC staffers in the states will be given a longer leash in order to understand local players and issues, and adapt accordingly. That may seems like an obvious strategy, but it marks a cultural sea change for Republican get-out-the-vote specialists. “Our approach at the RNC is to try and be as granular and community-based as possible,” said Reince Priebus, the committee chairman. To that end, Priebus said the party has abandoned its assumptions about voter contact. In 2012, for instance, the RNC and Mitt Romney’s campaign had their volunteers read from a generic script when reaching potential supporters by phone or at the door. The strategy, which relied on large banks of auto-dialer phones, was scattershot and impersonal. The Obama campaign, meanwhile, depended on volunteers who had lived in targeted communities for years, and had pre-existing relationships with potential voters. Priebus said Republicans are trying to cultivate a similar grassroots network among their staffers and volunteers. They can work all they want but it won't change their true feelings about their hatred of women, gays, Blacks, seniors, veterans, poor people and children. Heck they just don't hate they want to also control our lives with their antiquated beliefs. I don't know if there is enough of a welcoming big tent feeling in the GOP to help them win enough. Their brand isn't trashed from data collection methods. Their brand s trashed because of their idiodit loudmouth candidates who speak before they think. The Democrats have mastered the art of being centrists whilst the Republicans are so far out right that it doesn't look like they'll be back for at least 10 years. lesson folks i dont care what the repubs message is, which more likely is lie lie lie until you get what you want. but this country cannot afford more obstructionist in our congress. these repubs goes to congress to take a vacation and obstruct everything that would help the American people get a job. they want to privatize everything, and allow big companies to take their money anywhere they want to gain more money, and that means overseas to get slave labor, and none existing taxes. you just cannot privatize everything in America, because companies are in business to do one thing and that is to make money and more and more and more, that means if you cant hang you will get swept down the river of debt, bankruptcy and chaos. big companies will make even more money saying they'll get you out of it. imagine if our roads and bridges were privatize, normal Americans couldn't even drive. The republicans have a messaging problem. They're not listening to our message. No matter how nicely you say cut taxes for the wealthy, the job NOT creators, and cut programs for everyone else, people aren't going to vote for you. We need policies that are going to actually work. -"Instead of taking rigid marching orders from Washington, RNC staffers in the states will be given a longer leash in order to understand local players and issues, and adapt accordingly. That may seems like an obvious strategy, but it marks a cultural sea change for Republican get-out-the-vote specialists." Please. The GOP is a creature of Washington: K Street is of more interest to them than Main Street. "Led by the re-election campaign of President Barack Obama and aided by independent liberal groups and labor outfits, Republican organizers were badly out-hustled by their Democratic counterparts in the race to get their supporters to the polls, in early voting and on Election Day." In other words, the "community organizer" totally blew the Republicans out of the water in the ground game.